It’s hard to overstate the pulpy absurdity of Uber’s 2017. It started with sexual harassment claims, accelerated with verbal barbs, and ended with an unmasked nest of spies. 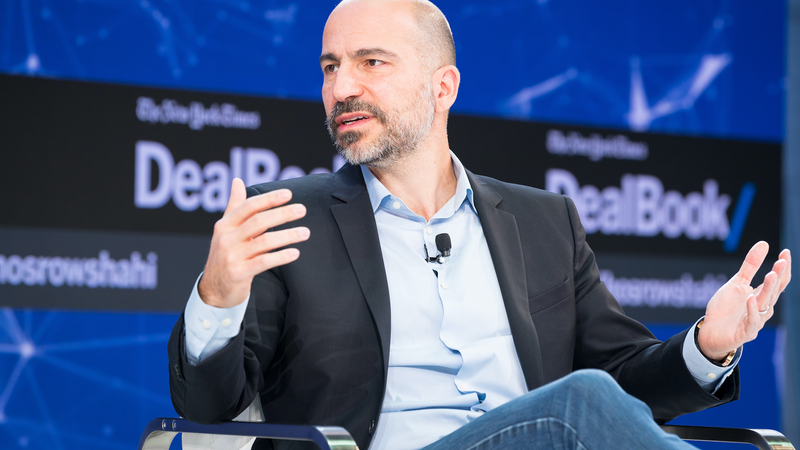 Still facing terrible press, a “bro culture” image, and a federal investigation, CEO Dara Khosrowshahi told the World Economic Forum in Switzerland Tuesday that the leaks were “incredibly positive” for the company because of the “cultural change” they caused. Uber loves leaks is one hell of a line to sell to an audience, especially as the company is still trying to stabilize itself after a series of bombshell reports uncovered extensive secrecy within the company’s operations. The Department of Justice launched a criminal investigation into the company after a March New York Times report found it used a software program called “Greyball” to avoid regulation and operate in places it had been banned. In December, documents made public as part of its case against Waymo asserted that, under former CEO Travis Kalanick, Uber hired undercover agents to surveil competitors and politicians who favored other ride sharing companies. Kalanick himself was caught on video in February berating an Uber drive who told the ex-CEO he was near bankrupt because of the company’s practices. What possesses a man at the head of a company that once employed a network of spies to say he loves leaks? Uber spent the past year reeling from a new leak-induced PR cataclysm every four months, but now it loves leaks? That’s like saying you love the Jacksonville Waffle House that gave you food poisoning because you decided to become vegetarian afterwards. “Painful, but incredibly positive,” you tell your friends, just after uploading a snapshot of Vegan Tofu with Basil Pesto to your Instagram. Uber’s downfall was 2017's most compelling soap. There’s no doubt the press will happily cover every upcoming twist and turn, but Khosrowshahi isn’t convincing when he says he’s looking forward to it.